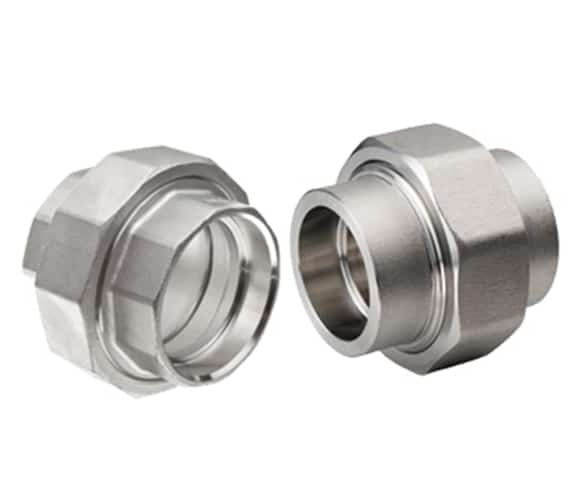 Alloy Steel Forged Socket weld Unions, Forged Union, Hastelloy C276 Forged Unions, Copper Nickel Socket weld Unions Exporter, Male Socket Weld Union, Nickel Alloy 200 Union Exporter in Mumbai, India. 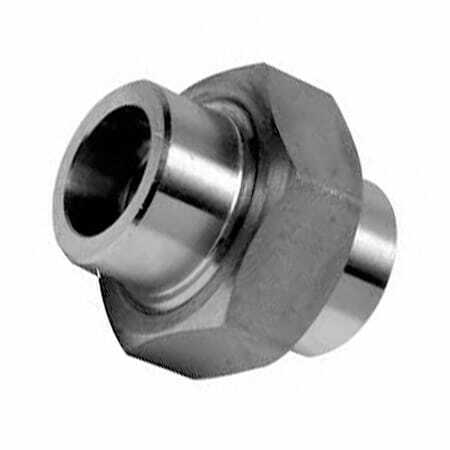 Monel 400 Socket weld Forged Union, Stockholder Of Forged Socket weld Union, High Quality Socket weld Union, Socket Weld Union, Forged Socket weld Union, Alloy 20 Socket weld Unions Manufacturer in India. We at UniFit metalloys are one of the well-known manufacturers, traders and suppliers of Socket Weld Union. We have developed a range of products that can address the needs of the markets effectively. Our Socket Weld Union are available in many alloys to meet the specific requirements of the customers as per the applications. We are always ready to take that extra step to help our customers in helping them find products that are perfect for their requirements. We offer Socket Weld Union in variety of sizes, thickness, grades, standards and finishes. Our Union are available in Stainless Steel, Alloy Steel, Carbon Steel, Titanium, Copper-nickel, Hastealloy, Inconel, Incoloy, Titanium and more. Our products are processed through international standards of quality checks and durability measures. . We have a customer base worldwide that demands our products for their robust built and quality. Duplex Steel Socket weld Union, Inconel 201 Forged Socket weld Union, ASME B16.11 Forged Socket weld Union, World Wide Supplier of Forged Socket weld Union, BS3799 Socketweld Forged Union Traders in Mumbai. 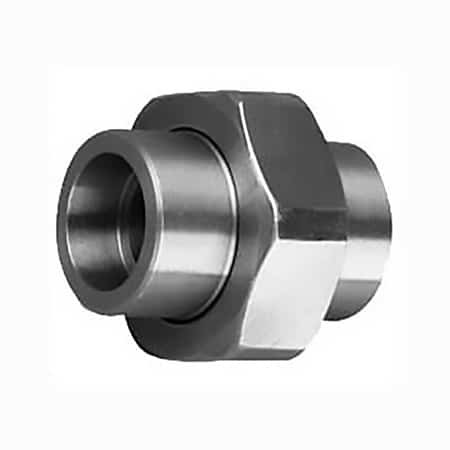 Manufacturer Of Duplex Steel Socket weld Union, SS A182 Socket weld Union, Stockist of Stainless Steel Socket weld Union, SS Forged Socket weld Union, Forged Union 3000LB Socket Weld, Hastelloy Socket weld Union, Hastelloy Socket weld Union Traders in India. Dimensions : ASME 16.11, MSS SP-79, 83, 95, 97, BS 3799. Form : Union, Union Male / Female. 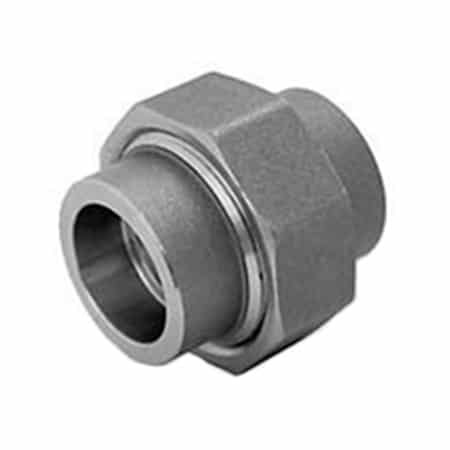 Type : Socketweld Fittings & Screwed-Threaded NPT, BSP, BSPT Fittings. Duplex & Super Duplex Steel Forged Socket Weld Union : ASTM A 182 – F 51, F53, F55 S 31803, S 32205, S 32550, S 32750, S 32760, S 32950. Socket weld Forged Union Distributors, Carbon Steel Socket weld Union, High Quality Socket weld Union Manufacturer, ASTM A182 Socket weld Stainless Steel Union, ASME B16.11 Forged Socket weld Union, Forged Unions 3000LB Socket Weld, Stainless Steel Union Suppliers, SS Forged Socket weld Union, ANSI B16.11 Forged Socket weld Union Dealer, BS 3799 Forged Unions Exporter, Forged Socket weld Union Stockholder, Duplex Steel Socket weld Union, Super Duplex Steel End Unions, Copper Nickel Socket weld Union, High Nickel Alloy Forged Socket weld Union, Hastelloy Socket weld Union Stockist, Titanium Forged Socket weld Union, Inconel Socket weld Unions, Forged Socket weld Union, Socket weld Union, 150 lb. 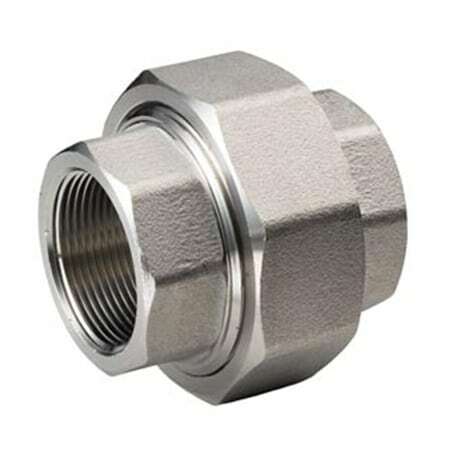 Socket Weld Fittings Union, Socket weld Forged Union. Santiago, Kolkata, Bhopal, London, Doha, Toronto, Baroda, Mumbai, Bogota, Jeddah, Madrid, Aberdeen, Al Khobar, Calgary, Courbevoie, Perth, Ludhiana, Algiers, Lagos, Caracas, Pimpri-Chinchwad, Edmonton, Dallas, Moscow, Busan, Indore, Chiyoda, Surat, Navi Mumbai, Lahore, Chandigarh, Thiruvananthapuram, Gurgaon, Atyrau, Abu Dhabi, Manama, Riyadh, Kuala Lumpur, Al Jubail, Thane, Vadodara, New York, Jakarta, Hyderabad, Karachi, Montreal, Milan, Chennai, Dubai, Cairo, Hanoi, Gimhae-si, Faridabad, Muscat, Sharjah, Los Angeles, Sydney, Visakhapatnam, Rajkot, Ho Chi Minh City, Mexico City, Houston, Singapore, Ahmedabad, Kuwait City, Ranchi, Ulsan, Haryana, Brisbane, Nagpur, Secunderabad, Melbourne, Pune, Nashik, Seoul, Jaipur, Colombo, New Delhi, Tehran, Geoje-si, Ahvaz, Granada, Noida, Ankara, Ernakulam, Hong Kong, Kanpur, Istanbul, Jamshedpur, La Victoria, Coimbatore, Rio de Janeiro, Bangkok, Petaling Jaya, Dammam, Bengaluru, Howrah, Vung Tau, Port-of-Spain. Hungary, Bahrain, Thailand, Gambia, Gabon, Bangladesh, Yemen, Japan, Austria, Angola, Trinidad & Tobago,Tunisia, Israel, Argentina, Philippines, Vietnam, United Arab Emirates, Russia, Portugal, Morocco, Bulgaria, France, Iraq, Indonesia, Italy, Netherlands, Ireland, Sri Lanka, Saudi Arabia, Hong Kong, South Africa, Pakistan, Azerbaijan, Malaysia, Poland, Kuwait, Kenya, Belgium, Germany, Singapore, Iran, United Kingdom, Sweden, Oman, Estonia, Slovakia, Ukraine, Spain, Afghanistan, Ecuador, Australia, Nepal, New Zealand, Croatia, China, Venezuela, Chile, Mexico, Belarus, Iran, Finland, Greece, Mongolia, Turkey, Chile, South Korea, Tibet, Canada, Lithuania, Czech Republic, Bolivia, Serbia, Costa Rica, Puerto Rico, Algeria, Bhutan, Poland, Jordan, Nigeria, Qatar, Peru, Kazakhstan, Brazil, Libya, Macau, Lebanon, Namibia, Romania, India, Nigeria, Switzerland, Egypt, Taiwan, Norway, Mexico, Denmark, Zimbabwe, Ghana, United States, Colombia.